David Benavidez scores a split decision victory over Ronald Gavril after 12 action-packed rounds claiming the vacant WBC 168-pound title. 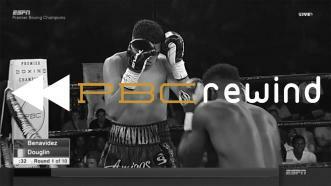 All the best video of David Benavidez defeating Ronal Gavril. 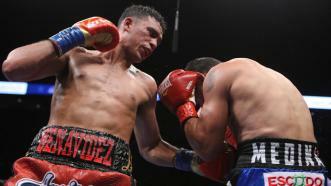 Boxing’s youngest world champion David Benavidez defended his super middleweight world title in dominant fashion over Ronald Gavril in their 168-pound rematch. 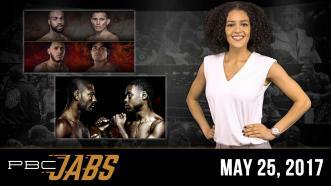 David Benavidez and Ronald Gavril battle in a 12-round WBC super middleweight championship fight September 8, 2017 on Showtime. 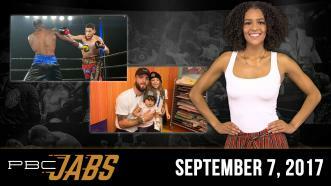 On this episode of PBC Jabs, 168-pound contender Caleb Plant takes a break from training camp to visit Sunrise Children’s hospital, we preview our hard-hitting September 8th Showtime card, plus we check in with super middleweight David Benavidez ahead of his first world title fight. 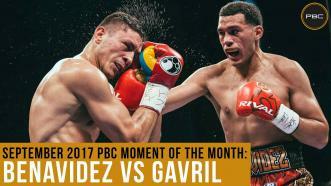 Before he enters his first 168-lb world title fight on Friday, Sept. 8, 2017, vs. Ronald Gavril, take a look back at how David Benavidez got there. 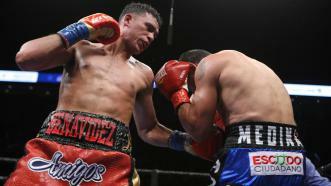 In his world title eliminator bout against Rogelio Medina, Benavidez overwhelmed Medina, and ultimately finished the affair with one of the most spectacular knockouts of 2017. 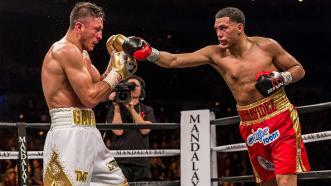 David Benavidez delivers an impressive TKO performance against Denis Douglin in his 16th professional fight. 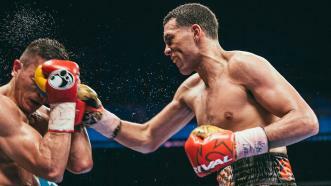 Top-rising super middleweight contender David Benavidez put an exclamation point on an awesome 168-pound title eliminator bout with Rogelio "Porky” Medina via an eighth-round TKO stoppage.